subject April 21, 2013. A lot of Whale shark!! 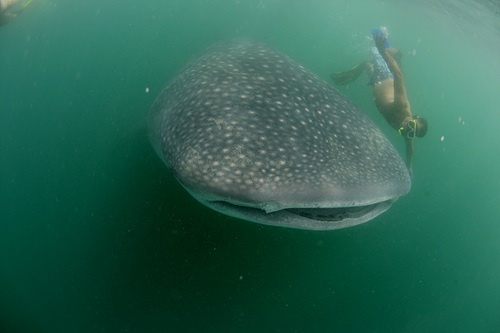 Today my guest saw and swam with 3 different whale shark, and one of them was so huge and always stay in surface. Really great interaction. I will join tomorrow and update any good news!